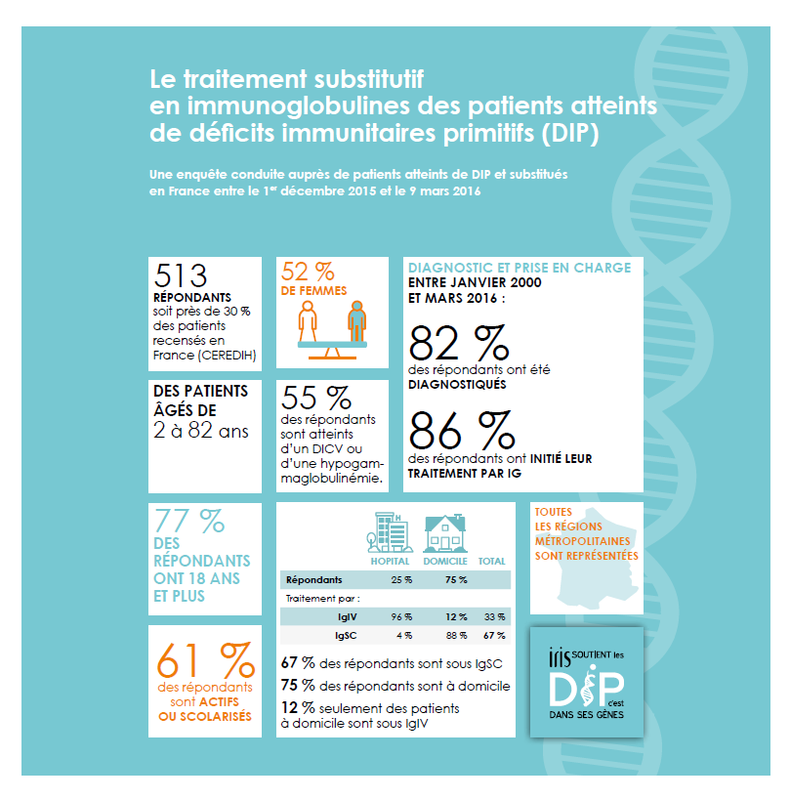 IRIS recently published the results of a survey on primary immunodeficiency (PID) and immunoglobulin (IG) replacement therapy. They found that French patients are overall satisfied with their treatment, whether it is received in the hospital or at home, intravenously or subcutaneously, but also that not all physicians suggest both options to their patients. Some patients have however been able to change where they receive treatment and the route of administration according to their medical or personal needs. The distribution of IG medication to patients who do their infusions at home is not harmonized. Some patients get their medication in the hospital while others get it delivered at home. 52% women, 24% under 18, 25% 60 years and over. – subcutaneous or intravenous (19%). 69% of patients treated at home get their IG from the hospital pharmacy, 30% get it delivered at home.